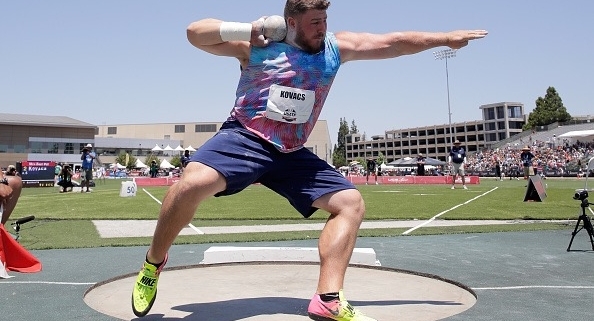 Around the throws world you hear people talking all the time about how this individual or that individual has “good technique.” What exactly does that mean? In the shot put, the last 30 years has seen a changing of the guard. Where the linear glide technique once dominated, the rotational technique is now the kind. At the most recent world championships 11 of the 12 finalists in the men’s shot put used the spin. What is interesting is that all but two had a unique look to their throw. If you’re wondering who those two are they were Joe Kovacs and Darrel Hill. 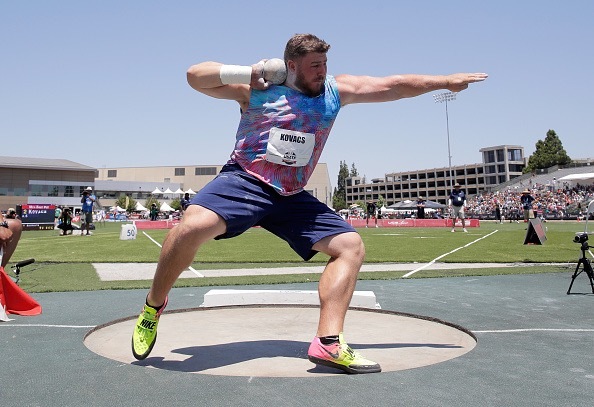 By no means do Kovacs and Hill throw identical, but they have very similar characteristics partly because they came from the same coach: Art Venegas. Venegas is hands down the most successful shot put coach in history. He has coached four athletes over 22 meters, including three spinners. While the Olympic gold remains elusive, his athletes have won five world championships and countless US titles. His model is also the main technical model I use in the throw, but I am a bit more flexible in building my technical model. If you look at any part of the throw, you will notice how top throwers approach it differently. At the start of the throw you see some athletes with static starts, some of gigantic wind ups, some use a wide high sweep out of the back, and others a narrow and low sweep. Some have their sweep leg trailing behind them and some don’t. Some wrap in the middle to power position and some don’t. With such variation, how can we say one athlete has really good technique and one doesn’t. As coaches we are quick to look at another thrower and say “man if they only did this or that” they would throw a lot farther. What if they are not capable of doing “this or that”? Bottom line is that the implement flies far. However that gets done is based upon what that athlete is capable of. One example is three High School throwers I had last year. They all came through my same technical progressions and used the same training plan. I coached them all the exact same way and all threw over 56 feet. However, each of them looked completely different. Yes they had characteristics of what I teach but they all had their own movement characteristics as well. The bottom line is that even though they looked different, all of them had to have good technique to throw that far. They got the job done in their own way. Next I’ll use myself as an example. I’m on the shorter side being a thrower and one of my objectives was to push off my left out of the back as hard as I could to create linear velocity across the ring and then wrap while going into the power position and finally going straight vertical at the finish. Since I was only 5’7″ I was capable of doing it this way without flying out of the ring. Ryan Crouser, on the other hand, has said he does not actively push out of the back. At 6’8″ tall this isn’t just his style, it is a necessity. If he pushes too much he will run out of space. Did people say I had good technique? Yes. Do people say Crouser has good technique? Absolutely. So how can one define what good technique is when there are many different styles, looks, and feels? I think we need to stay away from what one considers to be good technique and use a technique that fits each athlete the best. I would bet that if someone forced Adam Nelson into a cookie cutter “traditional style” of the rotation he may have not thrown as far as he did. We will never know the answer to this but we can all agree that Nelson had his own style that worked for him and for the most part it has yet to be replicated. Good technique can mean different things. The most important thing in the end is that the basics are being done correctly and the implement is flying far. If you have that, you have good technique in my book.